The use of technology is not the exclusive preserve of young people because seniors are now showing interest in it. Talking about seniors, this could be your grandma, grandpa, all mums and dads etc. These listed smartphone apps for every seniors can play a very important role in their lives as they grow older. The reason for this is not far fetched due to the countless advantages it has. Understandably, it is not every elder who knows how to use a smartphone, oftentimes; they are put through by their children. No matter the divide you belong, there are important and helpful apps that must be present in the device of all elders. These apps will ease many of the tasks they do especially when the children are not around to assist them. 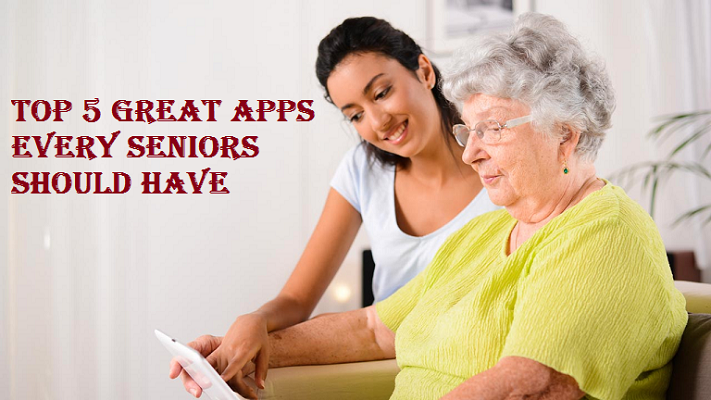 Today, RUBIZTECH shares 5 great smartphone apps every senior must have on their devices. A major difficulty that seniors face is reading. As they advance in age, vision changes and the eyes become less effective compared to when they were young. The EyeReader App makes it possible to read despite their age. The app converts any smartphone into a glass with light that you can zoom. iPhone users, download eye reader here. iPhone Users, Download Pillboxie here. Seniors are lonely today because they have few people to interact with. And they love to talk. Since no one is available and they can walk around like in the past, CogniFit app can easily fit in. The app has puzzles, trivia, number games and brainteasers that will task the brain as well as keep their mind in good shape. iPhone Users, Download CogniFit here. Talking to anyone in any part of the world is very essential. With Skype, seniors can make cheap and affordable calls. The video call option where they can see whoever they are talking to is also available. This is for elders who find it difficult to view the names and numbers in their contact list because of their failing eyes. BigNames enlarge the text for you to see clearly. The above is five among the several great smartphone Apps every seniors should have on their smartphones. So if you have an elderly, it will be a great idea to download these great apps for them. Are there any more great apps you think that will be great for seniors? Let us know using the comment box below.